SmartEnergy™ is an online service complementary to SmartView™ allowing for the delivery and full use of your energy interval data. This gives you control of your energy usage and subsequent carbon output. SmartEnergy™ enables Eutility’s analysts and engineers to explore your detailed electricity data and recommend ways for you to reduce your overall energy consumption. Your business will receive the full range of benefits from our industry-leading experts, including monthly reporting recreating your previous energy usage – so you can see the savings in black and white. SmartEnergy™ provides a detailed analysis and assessment of your energy consumption and recommending technology to help you control and reduce your usage immediately. Graphical identification of key areas where demand may be shifted or reduced as well as important data for those on contracted and rolling capacity tariffs. 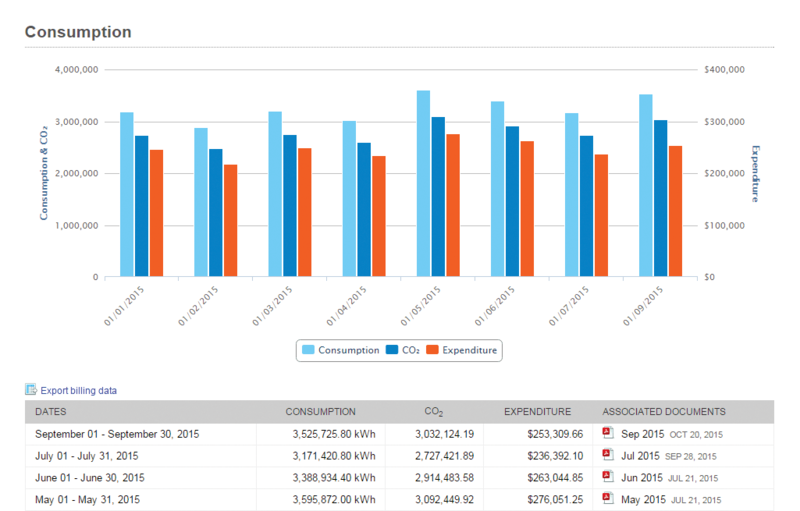 See a detailed calendar overview of your energy performance on a monthly basis. The calendar enables you to instantly identify wastage and trends by day so you can reduce costs. Get carbon output data suitable for use in sustainability reports. Review when energy is used in relationship to Time of Use tariffs so you can strategically shift operational practices and access optimal pricing and cost profiles. All charts and graphs provide for interval overlays of Power Factor and Climate allowing for an opportunity to be able to normalise data and manage billable demand. Daily Usage Report will give you the opportunity to influence behavioural change on site, recognise wastage and identify meter errors. After a detailed analysis, Eutility recommended the retrofitting of LED lighting and the installation of Solar Panels to reduce their energy usage and costs.